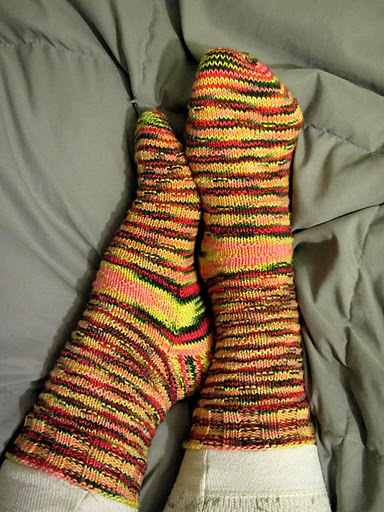 I love how the pink and yellow colors pooled similarly around the gusset of each sock. My Fiasco calls these my ‘clown barf’ socks. I can’t really argue with him. They are bright. Yet they are also festive, and that was the point. Doesn’t everyone wear thermal pants because it’s so dang cold in their house? No? Oh well, just me then. I started these socks way back in February 2011. I had wanted to knit them in time for Christmas 2010, but alas, it was not to be. I needed a plain sock A.S.A.P. 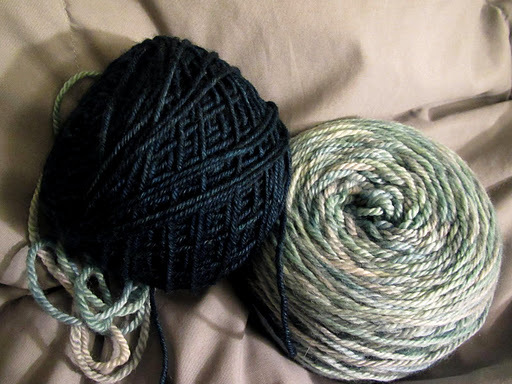 to knit while reading papers and since the X-mas Rocks skein was already wound up, I started them. I winged the pattern, alternating stockinette stitch with *K3,P3* rows, and I liked the ridged effect so I kept going. They hibernated for a while until I tried to finish them in time for Christmas 2011, but that was not to be, either. 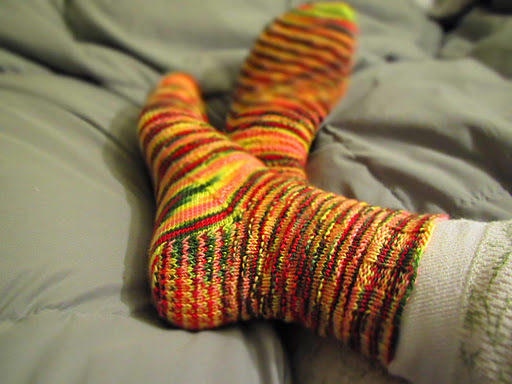 Nevertheless, they are done now, and make my feet no less cozy despite the fact that we’re past the holidays. but no dice. It will just have to wait. Ever knit yourself sore before? This entry was posted in STR by shoelaceswitcher. Bookmark the permalink.